If you love doing your part to save the Earth as much as you love a good cup of coffee, you may have wondered if you can reuse those old coffee grounds you dump into the garbage each morning. Even if you don’t drink coffee, you could be interested in swinging by your local coffee shop to request some grounds you can use at home. Just as there’s a lot to consider when it comes to Philadelphia homeowners insurance, there’s a lot of ways to recycle old coffee grounds. Rather than spend more money than necessary on fertilizer to bring out the best in your garden, put used coffee grounds to good use and sprinkle them on your garden. 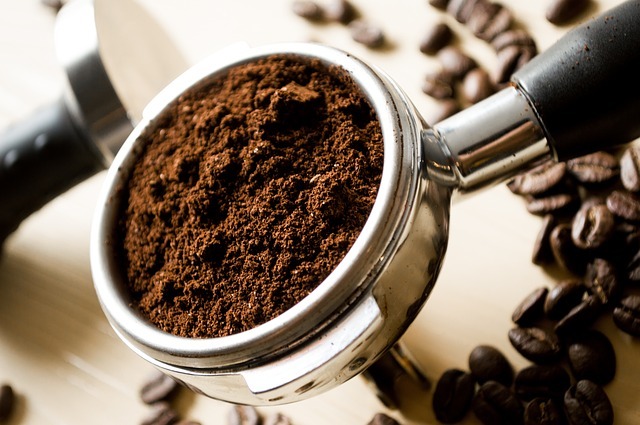 What’s so great about coffee grounds is the fact that they contain necessary nutrients like potassium, calcium, nitrogen, chromium and magnesium that plants need to grow. Even better is the fact that coffee grounds attract worms, which will also go a long way in boosting the health of your garden. In addition to fertilizer, coffee grounds also make a fantastic addition to compost. If you’re ever out of baking soda and find yourself in need of a way to get rid of bad smells lingering in your fridge, coffee grounds make for an excellent alternative. Simply pack a small container with grounds, making sure you leave it open, and slide it to the back of your fridge and let it act as a sponge for offensive smells. You can then re-recycle those grounds by using them as a fertilizer or adding them to compost. Exfoliating is a great way to scrub away dead skin cells and give your body a nice, healthy glow. Instead of buying products that have exfoliators in them, which can be more expensive than regular body wash or bar soap, you can blend your favorite body oil, a bit of warm water and coffee grounds together and rub away at your skin. Additionally, you can also use coffee grounds to give your face a nice glow. Blend two tablespoons of cocoa powder and coffee grounds together before mixing in three tablespoons of whole milk and a generous tablespoon of honey. Stir the mixture together in a small container and wash your face as you normally would. While you love your dog or cat, you’re probably less enthused about the fleas your four-legged friend brings into your home. If you question some of the ingredients in and side effects of standard flea-fighting products, try your hand at rubbing coffee grounds over your pet after a wash. Rinse the grounds off and let your pet dry. One thing to point out here is the fact that coffee grounds aren’t as effective as a prescription, so they’re best reserved for a minor flea problem rather than a flea outbreak. Anyone who puts a lot of product in her or his hair may have found that there’s a lot of residue left behind after each application. To make your hair shine and lift away the leftover product, you’ll want to work used coffee grounds into your scalp and hair, rinsing them out before washing as usual. What happens is the grit of the coffee grounds is enough to break up the film without damaging your hair. During the colder months of the year, your coffee grounds can help you keep your fireplace clean. All you need to do is sprinkle the grounds over leftover ashes, which helps to keep smoke from kicking up while you’re cleaning. You’re sure to never look at used coffee grounds quite the same way again. As you can see, the possibilities for reuse are practically endless.